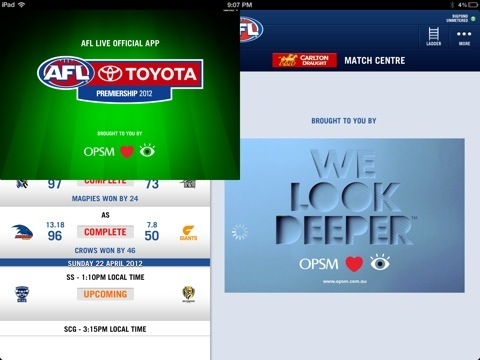 In an effort to make AFL content available to iOS users the league has teamed up with Telstra and hurriedly released updated AFL iPhone and iPad apps for the 2012 season. 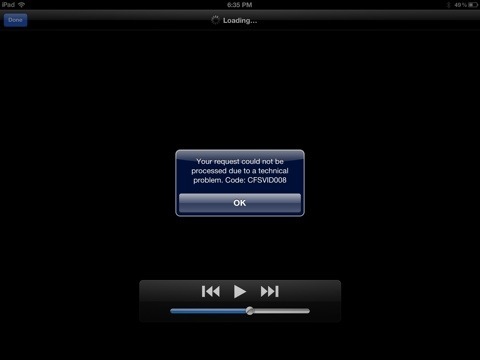 The iPad version is one of the most bug ridden apps I’ve ever used. The issues are mainly centered around video playback errors and broken design display. I’m surprised Apple approved such a shabby release. It’s a blessing and a curse that Apple approves all of the App Store apps but one of the benefits is that there is an expected level of quality that comes with an Apple App. The recent AFL iPad release highlights how the league has prioritised speed to market over quality and decent user experience. 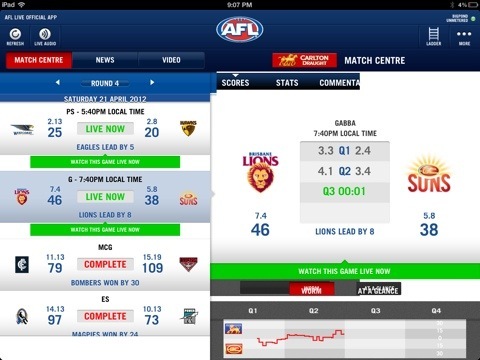 Peter, thank you for your feedback about the AFL Live Official App for iOS on the new iPad. We are actively working on an update to address the issues with the new iPad which is currently going through our QA processes . The update will be available from the App Store very soon. We are strongly committed to providing AFL fans the best experiences on mobiles and tablets and will continue to enhance the App for new devices as they become available and by adding new and exciting features and content as the season progresses. Thanks for your comment and it is great to see you have released an update to fix all the issues I’ve flagged. I cannot get decent picture quality. Yet, when watching Foxtel through the Foxtel app it is crystal clear. Is there a fix? I can use the app without a sim. Yep. Try updating or re downloading or even tweet @afl with a query.